The HydraFacial® is a beauty treatment that many women are obsessed with, and it’s easy to see why. It is a gentle yet powerful procedure that delivers multiple anti aging benefits. The high tech facial is so popular that more than two million of them are performed every year around the globe. Celebrities like having them done before major red carpet events to show off smooth, firm skin. Think of the treatment like a microdermabrasion session but without the stinging effects. This super facial was developed to cleanse, exfoliate and infuse the prepped skin with potent and beneficial solutions. Our aesthetic specialist uses the handheld device on the face for a gentle session. The gadget is designed with a special vortex technology and various treatment tips on it for performing the facial. The vacuuming suction is used to deeply cleanse, exfoliate dull, dead skin cells, extract grime and blackheads and replenish the skin with antioxidants. It is relaxing, feels good and is safe for all skin types, including sensitive skin. It can be used on teenagers, adults and older people who are dealing with a variety of skin care issues. Best of all, the non invasive procedure is comfortable and poses no real downtime. The HydraFacial® has been clinically proven to improve your complexion in a number of appealing ways. These include softening the appearance of fine lines and wrinkles, cleaning out congested and enlarged pores, taming oily skin and minimizing the appearance of hyperpigmentation and brown spots. The treatment results in a wonderful transformation with radiant, smooth and soft skin, especially after the final infusion step. During this key part, our skin care expert will use the device to push through potent ingredients tailored for your individual wants and needs. These powerful solutions can feature vitamin C for brightening, peptide complexes to firm and tone, hyaluronic acid for plumping the skin and drawing moisture to it, etc. The HydraFacial® is an incredible treatment that can deliver results similar to microdermabrasion and laser exfoliation but without the skin damage commonly associated with those procedures. To achieve optimum results, it is recommended to have a series of sessions done. 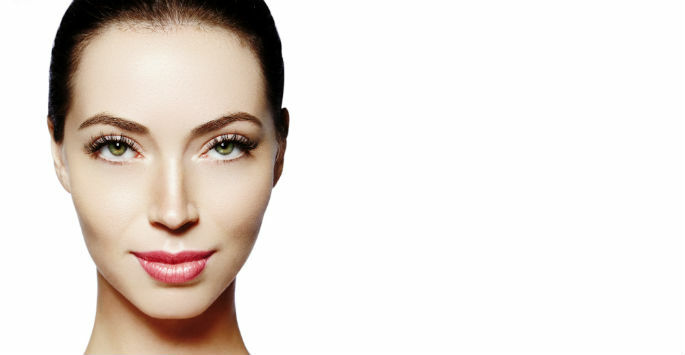 A flawless and more youthful complexion is something most women desire or want to maintain. The HydraFacial® at Eva Claiborne Beauty & Wellness could allow you to do just that. Contact us today to book an appointment at our office in Tiburon. We look forward to hearing from you!